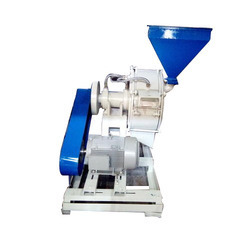 We are offering PVC Pulverizer to our clients. We are leading manufacturer and exporter of PVC Pulverizer.e “India Roto Plast, founded in the year 2014 are a prominent company that is betrothed in manufacturing a wide range ofBi Axial Machine, Pulverizer Machine and Rotomoulding Machine etc. 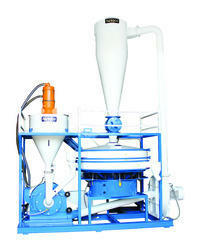 Our precious customers can avail from us excellent quality Microfine Pulverizing System. We offer this product in diverse stipulations to perfectly meet assorted demands of the customers. Backed by a sound domain experience and vast industry knowledge, we are manufacturing and supplying an outstanding quality range of Pulveriser Machine. We are among the primary providers of PVC Pulverizers. The offered product is designed with quality grade mild steel which provides high strength and extended working life to the product and is fault-free. With the valuable assistance of skilled team of professionals, we are engaged in offering an extensive range of high-quality Pulplizer Machine.